This, of course, doesn’t even take into account all of the subtitled versions, scanlations, and other fan-established terminology. So what’s the right answer, and why is it so hard for all these qualified translators to “get it right”? 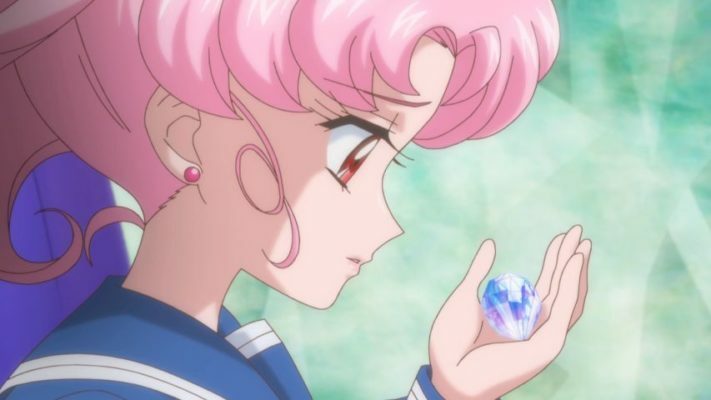 Longtime readers are probably aware of the fact that I’ve already touched on a similar issue before regarding what are some of the difficulties faced when translating Sailor Moon. 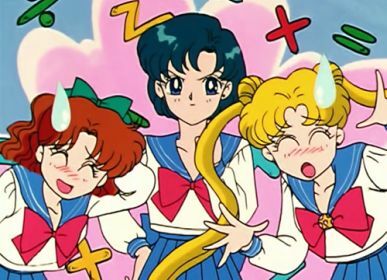 But while that focused more on some of the issues facing translators in general and how they reared their ugly heads with respect to Sailor Moon, this time I’d like to take a look at some very specific examples that the fandom — and official translations! — have flip-flopped on over the series’ many adaptations. With that out of the way, let’s get this party started! While I’d like to avoid getting into a debate here on the merits between translation vs. localization (and where that blurry line is located), one of the greatest travesties to me is just how many of the fun word plays are completely lost in translation. The biggest example of this would be the anime’s many monsters of the day — be they youma, cardians, droids, daimon, lemures, or phages. Though their names pretty much run the gamut of “awesome puns” to “groan-inducing dad jokes,” I liken the issue to the one faced by Pokemon: the point in the Japanese name was precisely the fact that it was a play on words, not the actual name itself. Though non-Japanese fans aren’t exactly missing out on a huge amount of information here, Boxy the boxing bokushi (牧師; priest)5 is such a clever pun that I’m always saddened to see it lost. Personally speaking, I think it would be best to just rename these (mostly) inconsequential characters in dubs and keep their names in subtitles, but I imagine my opinion isn’t exactly the majority here. But which Silver Crystal are we talking about, exactly? If you want to make a translator cry and/or get a stiff drink right in the middle of her workday, throw the word 幻 (maboroshi)6 into a proper noun. Trust me, it won’t end well. 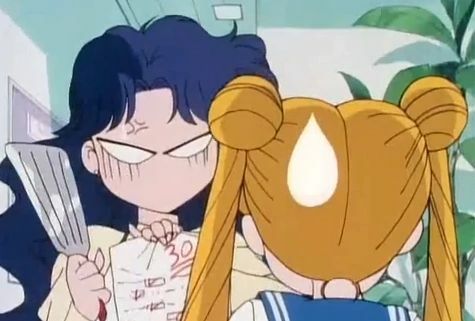 Read also: Why Did Naoko Start Writing Sailor Moon Attack Names in Kanji? Except for “Imperium,” none of these translations are really wrong. In fact, they’re all correct in one manner or another, and pick up on a different nuance that the other options lack. Alas, none of the names fully capture the nuance of the Japanese word here. So what do I think the solution to this problem is? Well, as many observant readers may have already picked up on, by and large I gloss over the word entirely in most articles on the blog. It’s not (entirely) that I’m lazy, but rather that I find it unnecessarily cumbersome to include the adjective. It’s also a case where, even for a pedant like myself, I feel that it doesn’t really add anything meaningful to the word. 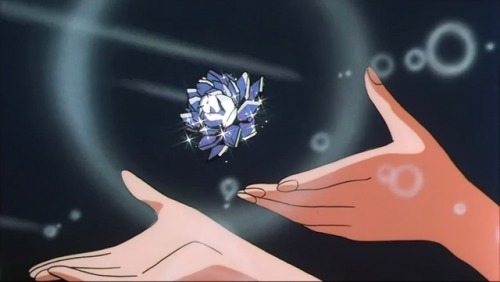 You see, what’s important about the Silver Crystal is that it is silver (representative of the Moon) and is, well, a crystal. And an expensive one at that. It stands in contrast with the Pink Crystal and the Golden Crystal. So while it may be maboroshi, the word doesn’t strike me as all that important. I’m not saying that this is the right approach, of course. However, I think this is a situation where we can just accept that all translations will be flawed in one way or another, and just agree to settle on the least-flawed one we can find. Considering how many non-Japanese words Sailor Moon uses, it’s pretty much a given that some of these words would not be English in origin. There are quite a few of these, in fact. 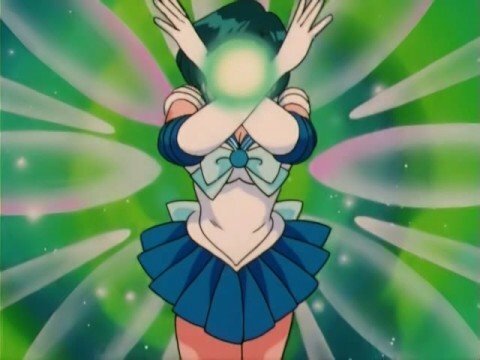 However, none of them are quite as… contentious among fans than Sailor Mercury’s first attack: ****** Spray. Read also: Did the Sailor Moon Anime Make Haruka More Masculine? So what’s an English translator to do? While I’m generally against leaving words untranslated (see above), I think this is a rare case where I’d argue it’s the best choice. After all, none of the other Sailor Soldiers’ attack names are rewritten (though, granted, they’re already English), so it seems odd to me to treat Sailor Mercury’s differently. I can see what the translators were doing here. After all, Sailor Mercury is depicted shooting bubbles during the attack animation. However, I think it’s one of the worst choices here in terms of accuracy. You see, “soap” and “bubble” are different words with different meanings. “Bubble” is an incorrect translation for “soap.” If we’re concerned about being more authentic to the actual image on screen, then we should also translate Sailor Jupiter’s attack as “Supreme Lightning,” since she’s not actually shooting thunder. Okay, I guess I’m back to being pedantic. Is there anything I missed that you think should be added to this list? Perhaps the Amazones Quartetto vs. Amazoness Quartet debate? Sailor Saturn’s Death Reborn/Ribbon Revolution debacle? Something else I haven’t even thought of?? Let me know what you think about this and other issues about Sailor Moon in translation down below, I’d love to hear what other people’s opinions on this. I’m especially interested in how some of these issues were addressed in other languages! 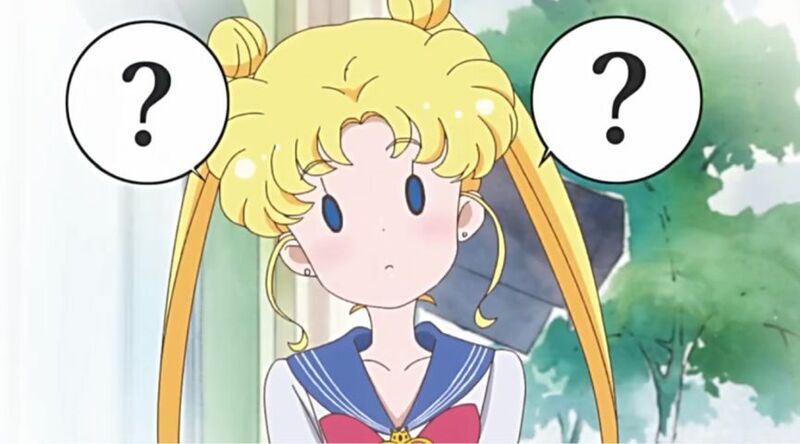 ← What Does the Full Sailor Moon Timeline Look Like? 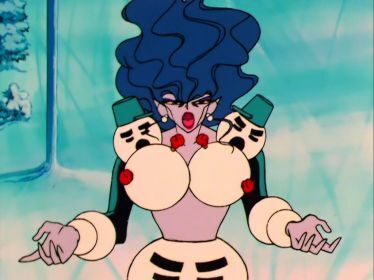 I’d love to hear you weigh in on the brainwashed/evil asteroid Senshi’s “proper” collective name in English (or at least which one you’d go with if you were to translate the series). Honestly, I think that the worst Lost In Translation moment are Ayakashi sisters´ names. I’ve discussed it before, and the Ayakashi sisters are definitely an annoying challenge to deal with. As for the sisters’ individual names, I still find it fascinating how long the Beruche vs. Berthier debate went on. LOL, I feel bad that I didn’t really get the internet until it was too late, so I have no memory of all these debates. How serious and severe were they? I know she is based on Berthierite, but there is a mineral called Brucite that has an icy blue tint to it. I wonder if it had anything to do with them thinking it should be translated as Beruche? It’s probably simple that, in Japanese, her name is written as ベルチェ (Be ru che, beruche). So probably it was just a case where the initial translator had no clue what it could be referring to and just translated it as-written on screen. Happens to the best of us! Sailor Mercury likes to make sure those Youma are squeaky clean before Sailor Moon kills them. I was disappointed, but not surprised when Viz chose bubble instead of shabon. I think it could also stem from the fans who argue it should be spelled as sabao instead of shabon (even though it’s a borrowed word). To me, it just sounds boring and they might as well have translated spray to something else as well. I mean, even if it is a mostly hated dub, Bubbles Blast is kind of iconic and sounds a bit better. I agree with you, the word should be left as shabon/sabao. It’s not like this new dub is for Cartoon Network, most people watching it will know what it means. Plus, they even translated the subtitles as “bubble”! It just sounds so… weird, you know? Almost every single attack phrase in the show is the same in both English and Japanese and you can match up with they’re saying on screen with the subtitles. 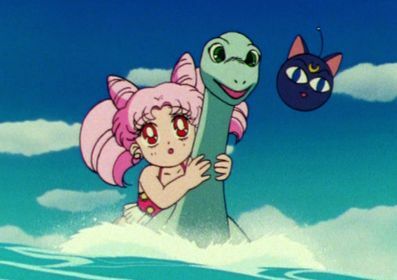 Changing it to “Bubbles” would be like changing Usagi to “Rabbit,” to me. There are some instances where it just makes sense to leave it alone. Posted 2019-04-15 at 9:27 am by A.J. I had first read Saturn’s attack as “reborn” way back when so it’s stuck with me ever since. As for Mercury, or almost all the girls for that matter, I feel that their attack names are all poorly worded, whether in Japanese or English. Mars gets a pass though. Her attack names are the least groan-inducing. To be fair, they’re kind of just “cool-sounding English” words thrown together into a blender. I agree that they may sound cool to a Japanese audience for 5-9 year olds, but don’t exactly hold up. If all the attack names were in Japanese, then translating them would make sense. There wouldn’t be any specific significance from the language used. It’s Japanese because the series is written in Japanese. 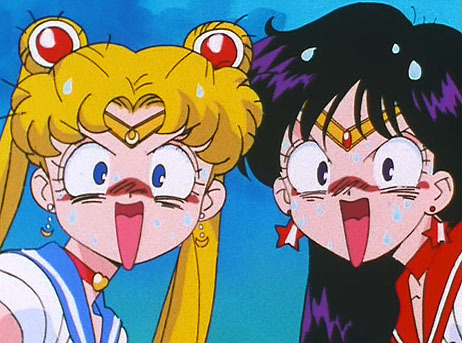 However, Sailor Moon specifically uses foreign words for the majority of the attack names. That does create a significance in the choice of words used. Sure, the reason can be ‘it sounds cool’ but it’s still a significance I think should be respected in the translation into any language. I agree that monster names should have changed to try and encapsulate the wordplay of the original. You used a great example with Pokemon names. That’s why this whole “Bubble Spray” translation for Mercury (and only Mercury) really confuses me. In that case, are we also going to translate Eternal Sailor Moon’s Tiare (technically the French word for tiara) as well? I don’t know, but I think there’s a strong case here to either leave it alone, or use the Portuguese word. I’d really like to know more about the whole Ribbon Revolution thing… I saw it many years ago and thought it looked weird… why ribbon? I don’t understand Japanese so I was left wondering. Would love to hear (or read, actually) your thoughts! It’s likely meant to be a wordplay in the manga, kind of like the spelling variation Naoko did with Queen Beryl vs. Chrysoberyl. So it’s probably meant to be “Reborn” but is written similar to Ribbon to add a little flair. Though admittedly, I haven’t taken a close look at the manga for this one yet. Very interesting, I didn’t know that! Thanks! One of the SNES fighters has Sailor Saturn use the attack ‘Death Ribbon Revolution’ (デス・リボン・レボリューション), spelled almost identically to ‘Death Reborn Revolution’. (デス・リボーン・レボリューション). So Saturn does technically have an attack with each name, even if one isn’t canon. But of course, it’s another damn pun. ‘Reborn’ (リボン) and ‘Ribbon’ (リボーン) are spelled very similarly. During ‘Death Reborn Revolution’, Saturn summons ribbons that she attacks the enemy with. The attack is made of deadly ribbons.